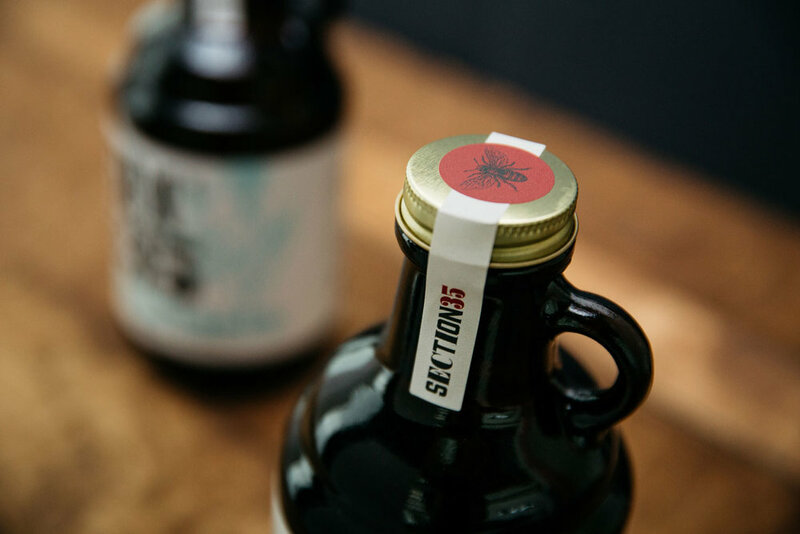 Produced in Viking, Alberta by a fourth generation farmer and former CFL football player, Section 35 farm distillery had an interesting story before the first bottle of their honey liquor was even poured. Inspired by the rich history of farming in Alberta, the brand nods to the rustic and tactile aesthetic of barnwood, woodblock letters and vintage printing equipment. As a small family run business, the packaging needed to be versatile, with the ability to swap out stock illustrations and information quickly and efficiently to keep costs down. Working with the client, we developed a rustic looking label on a stippled stock that matched beautifully with the amber growler style bottles.